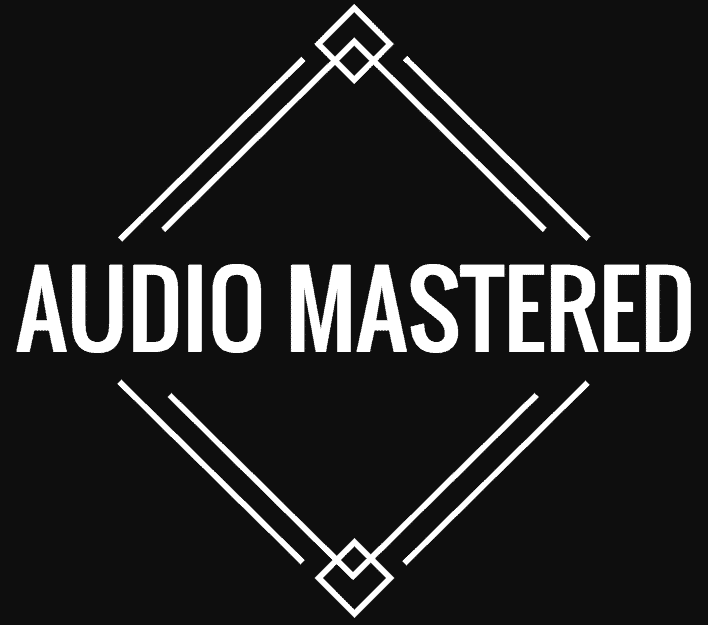 With the latest technological advancement, the last couple of years have made recording your own music much easier and widely accessible. You can get a cheap audio interface, a couple of microphones and a DAW and start recording in no time. However, while this is true for bass, guitar, and vocals, recording drums still remains a task that’s not that simple to perform. With so many different components, how do you set up the microphones? ​​If you’re asking that question, you’ve come to the right place. With just over 3 years of experience working in a rehearsal and recording studio, I’ve had the chance to record multiple bands and experiment with various microphone positions when it comes to the drums. I’ve decided to compile a list of simple, yet useful tips that are guaranteed to help you with setting up the microphones for a drum recording session! First of all, you need to make a list of the equipment that’s available to you. Okay, microphones, stands, and cables I get, but what’s with the rest of the things on the list? Electrical tape, or any other type of sticky tape will come in handy in multiple ways. It’s great for mounting microphones on stands that are too small to fit, routing cables that may get in the way, and applying dampeners on the toms and snare drum. Tissues are an easy and cheap way of dampening the toms and/ or snare drum. Depending on the acoustics of the room, the drum heads, and the sound you’re looking for, chances are that you’re going to want to dampen the sound a little bit. While there are drum- specific dampeners you can buy, using tissues or soft cotton pieces is way cheaper and more practical. Blankets can serve two main purposes, but both are regarding the kick drum. You can stuff a blanket inside the kick drum itself in order for it to absorb a portion of the low end, or you can even place it over a part of the kick drum and its dedicated microphone to cut off the unwanted sounds from the rest of the kit, and keep them out of that particular recording channel. It goes without saying that, before you start positioning the stands, cables, and microphones, you should have a good idea about the exact pieces you’re going to use on your kit. Check all the screws and bolts, change any drum tops if you need to, and set everything up to be as comfortable as it can for the drummer. Once you’ve started placing the stands and the rest of the recording gear, you won’t have much space to move the kit around! 2. The Microphones, How Many and What Kind? Microphones can be expensive, especially the good ones. If you plan on having your own recording studio, you better be ready to spend some serious cash on the microphones. If that’s not the case, ask other musicians or sound engineers you know to borrow a couple of microphones that they may not be using. 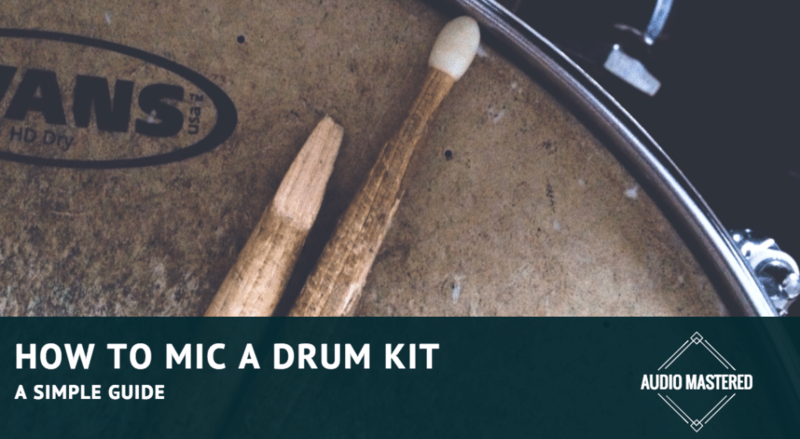 Basically, there are two main ways you can mic a drum set: you can either use individual microphones for each piece of the kit or just a few, which you strategically position around and above the kit. The first option is, of course, the most expensive one. For standard kits, you will need around 8 mics, not to mention kits including more cymbals or toms. Also, don’t forget that the more microphones you use, the more inputs your audio interface must have! The second option, even though it won’t allow you to mix and master each and every piece of the kit separately, can land you with some great sounding results as well. So, depending on the number of microphones you are able to come up with, or the money you’re ready to spend, the actual setup will be different. What kind of microphones should I use? Dynamic microphones work like speakers but in reverse. The diaphragm moves, making the coil move as well, which then creates an electrical signal. These are great at picking up the mid-range and tend to be pretty durable, having those accidental mic- hits on mind. Dynamic mics are mostly used on the kick drum, snare, and sometimes the toms. They are less expensive than condenser microphones, but can still offer good performance in terms of recording drums. Condenser microphones have a small built-in amp, that requires additional power. That’s where the “phantom power” button comes in play. Here, the diaphragm moves, but a capacitor is the one that’s picking up the signal. These microphones are more sensitive, but more expensive as well. While they do offer more flexibility in terms of recording, you may not have the budget to get a full condenser mic setup. 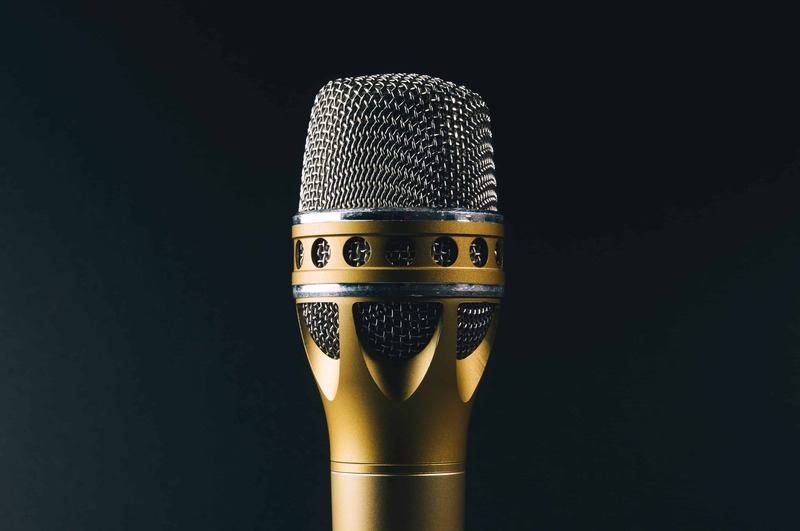 The bottom line is, figure out how many microphones you can get, and try to squeeze in a condenser mic or two into your budget if possible in any way. 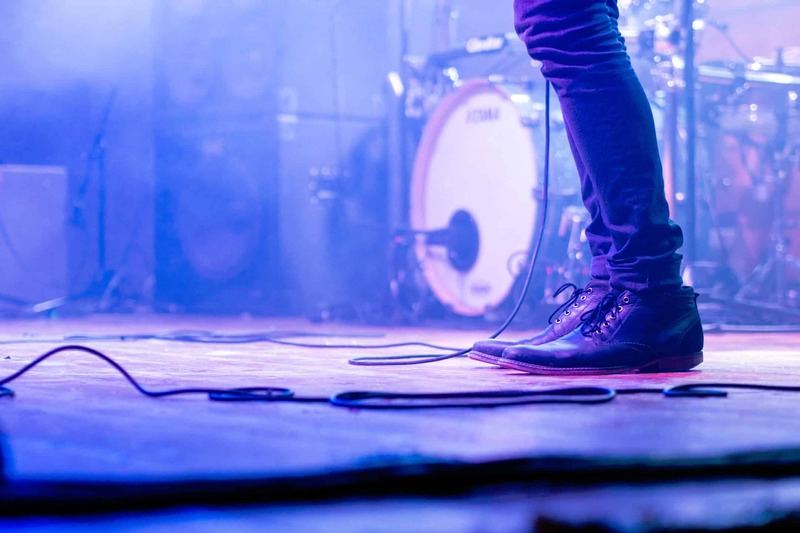 Correct placement and positioning of fewer better microphones can often compensate for not having the same number of microphones as you have pieces of your drum kit. If the bass drum is fitted with a full front head, you can only mic it from the outside. If you can spare two microphones for the kick drum, place one in the front, and one facing the batter side. This way, you will capture the low end, as well as add a bit of the attack and sharpness from the batter side. The downside of this is that you won’t be able to capture the true essence and low end of the bass drum when compared to having the mic inside. The microphone will also pick up the sounds coming from the rest of the kit. This is where that blanket comes in handy! On the other hand, if the front head features a hole, place the mic inside. If you have a flat condenser microphone, you can put it on the bottom of the kick drum. If not, prop a stand with the microphone facing the inside. Experiment with various angles, heights, and distances from the center of the insides of the kick drum, and see what works best for your needs. Overhead microphones can be used either for recording single/ multiple cymbals or for capturing a stereo image of the whole kit. The main problem with using overheads is incorrect phasing. This happens when the two or more microphones don’t receive the sound at the same time. An easy way to avoid this is placing the microphones close together. This takes care of the phasing, while still giving you a relatively good stereo image of either the cymbals or the whole kit. Note that in order to get the most out of this kind of setup, condenser microphones work better than dynamic ones! Spread the two overhead microphones apart. This enables them to capture a much wider stereo image, but you still need to address the phasing problem. The easiest way to do this is by taking the two channels, and setting the pan control so the sum of these two channels is equal to mono. Now listen to the recording, and if it sounds good, and no component of it gets canceled out, you’re good to go. Just be careful not to move the microphones much once you’ve found the right positioning. The sound of the snare drum can vary greatly across different genres, so achieving the right sound is done differently depending on what you’re looking for. Of course, the actual setup of the snare drum plays an important role, but in order to make certain traits pop up more, you can use different methods of miking it. The actual height and position should be about 3 or 4 fingers above the surface and pointing at the center. It shouldn’t get in the way of the drumsticks at any time, but still be close enough to the drum head. Moving it closer to the center will result in a better sounding and more present low end while moving it away from the actual head gives the mix more ambiance. This is an easy yet effective way of adding that snare wire sizzle into the mix. Just don’t forget to test for phase problems, and adjust in accordance to that. The overheads that we’ve mentioned can be used for toms as well, but unless you’re on a really tight budget and can’t afford a couple of extra microphones, this is not really a good idea. Try to set them up in a way that they are at the same distance from the bass drum, as well as the same height in general, if possible. Depending on the sound of the toms you’re looking for, experiment with various heights. A general rule of thumb is that the recording will sound much better if the microphones are lower. Recording more than 3 toms on your kit is definitely better with more microphones, but if that’s not possible, group them up in accordance with their tuning. 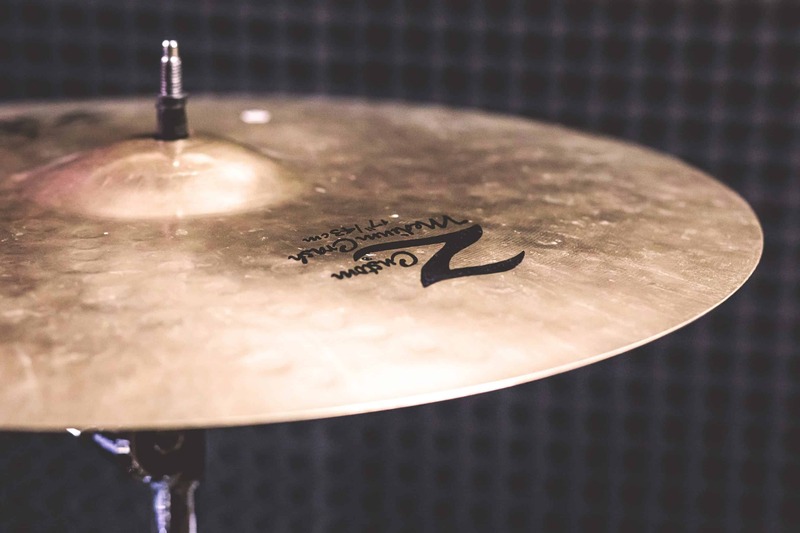 Depending on your preferences, and how much you want the sound of the hi-hat to be present in the mix, you have a couple of options when miking it. By doing so, you avoid the often inevitable “gonginess” of cymbals, while muting as much unwanted sound from the rest of the cymbals. Some drummers prefer a dual mic setup which simply combines the two methods mentioned above, so if possible, try it out yourself. If you found all of the above-mentioned tips to be too microphone and money demanding, you can always go for a room miking setup. Depending on the room acoustics, you can try out different mic placements, and experiment with the sound you’re getting. While this leaves the other toms slightly neglected, you can still get a decent recording by using this method. At the end of the day, it’s all about experimenting and working with what you have available. 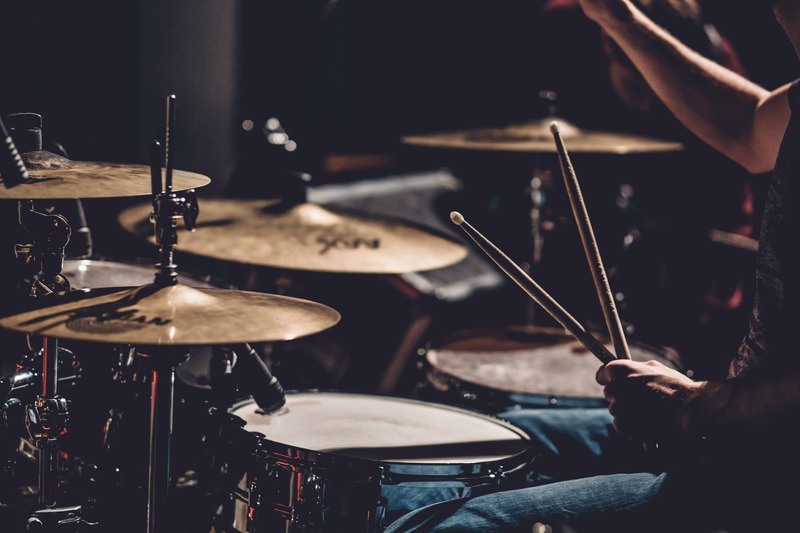 None of these tips are to be followed directly, they are just simple guidelines which are meant to help you with better understanding the concept of miking up a drum kit. The actual fine details are up to you, with your preferences being the imperative! We hope that you found this article informative and useful and that it truly helped you with miking up a drum kit. Thank you for reading, and we will see you in the next one!